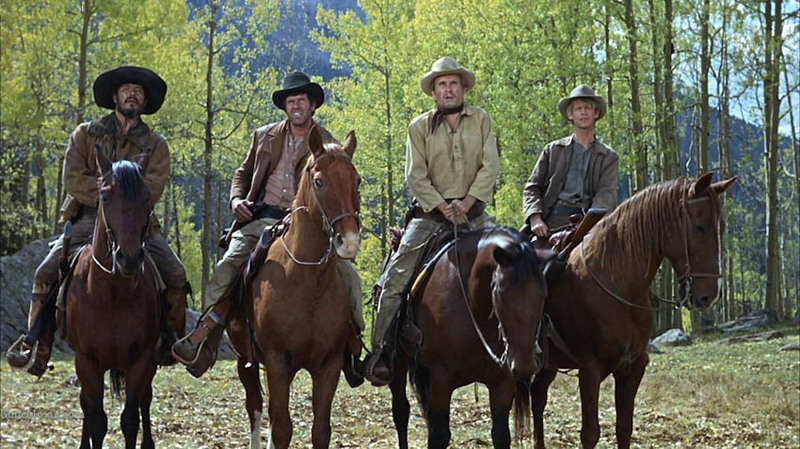 True Grit (1969) – Did You See That One? 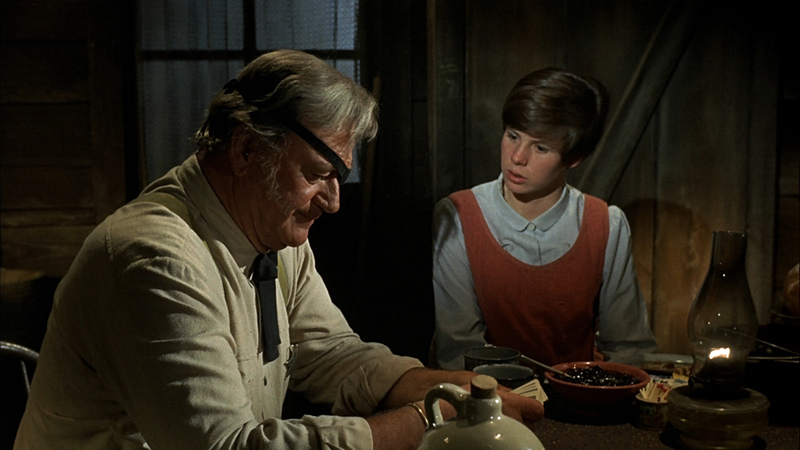 After her father is gunned down by Tom Chaney (Corey), Mattie Ross (Darby) heads to Fort Smith seeking information. 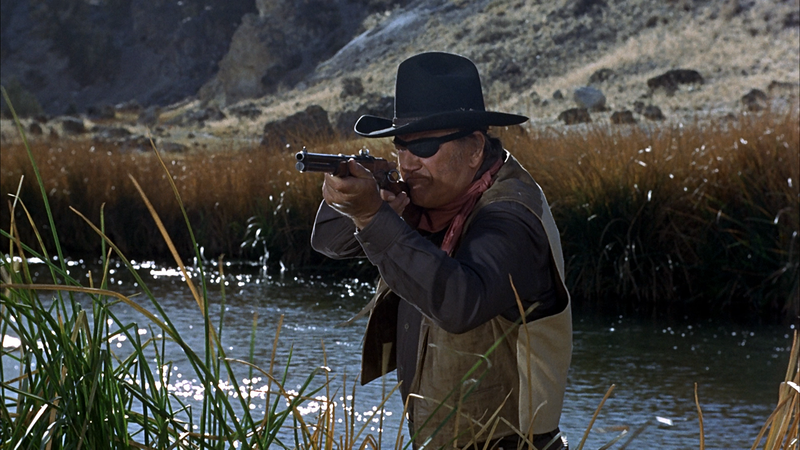 Once there, Ross hires Marshall Rooster Cogburn (Wayne) to hunt down Chaney. Now this unlikely team is headed into Indian Territory on the heels of Tom Chaney and a gang of outlaws led by Ned Pepper (Duvall). This film is the first of two built around the novel True Grit, written by Charles Portis (Norwood). This film was adapted by Marguerite Roberts (Ziegfeld Girl) and directed by Henry Hathaway (How the West Was Won). The film stars John Wayne (The Searchers) in the role that earned him an Oscar for Best Actor. Kim Darby (Better Off Dead…), Glen Campbell (The Cool Ones), and Robert Duvall (The Godfather) also star in the film. Dennis Hopper (Easy Rider) and Jeff Corey (Little Big Man) round out the cast. This story is a great tale of courage and redemption. Charles Portis’ novel served as the basis for the screenplay written by Marguerite Roberts. Despite some major changes from the novel, the themes remain intact. The dialogue has an almost poetic quality to it. The action capitalized on the larger-than-life personality of John Wayne. The writing done for La Boeuf and Mattie Ross has some weaker moments, but nothing terrible. Overall, this story seems to bring out the unique characteristics of every person portrayed. While it can get a bit cheesy at times, it’s still a great story. It’s interesting that this is the movie that won John Wayne the Best Actor Oscar. I really love his performance in this movie, but it’s not nearly his best work. Still, he’s wonderful in this movie. He brings out the salty and contradictory nature of his incredibly flawed character with great skill. 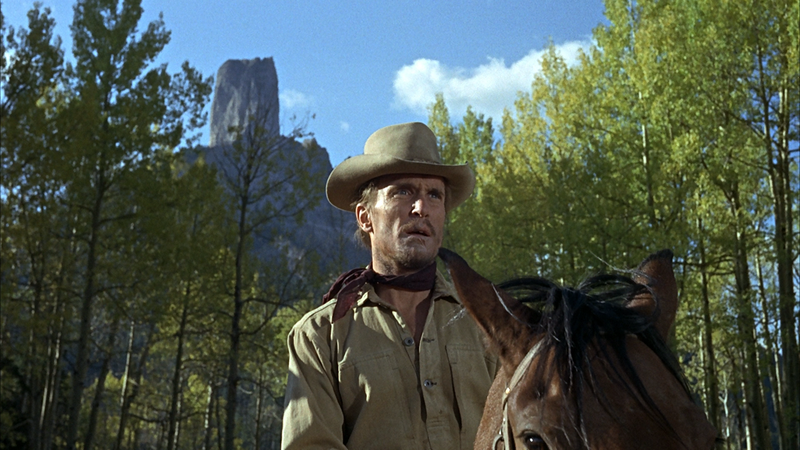 Robert Duvall is also pretty good in this movie. It’s always strange for me to see him on the side of the antagonist in a film. Still, he does great work with the role. 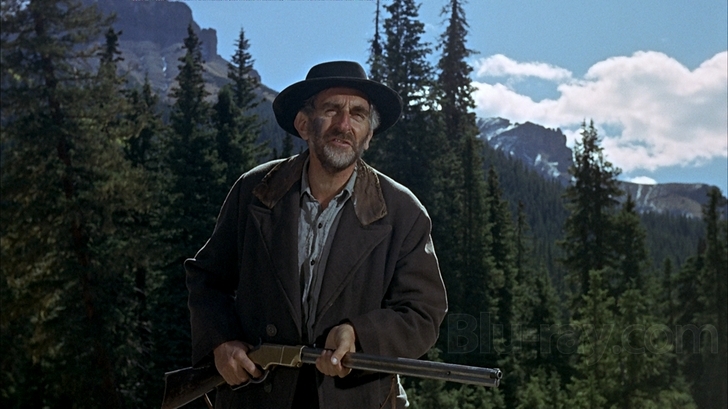 Jeff Corey and Dennis Hopper also do good work with their parts in this one. 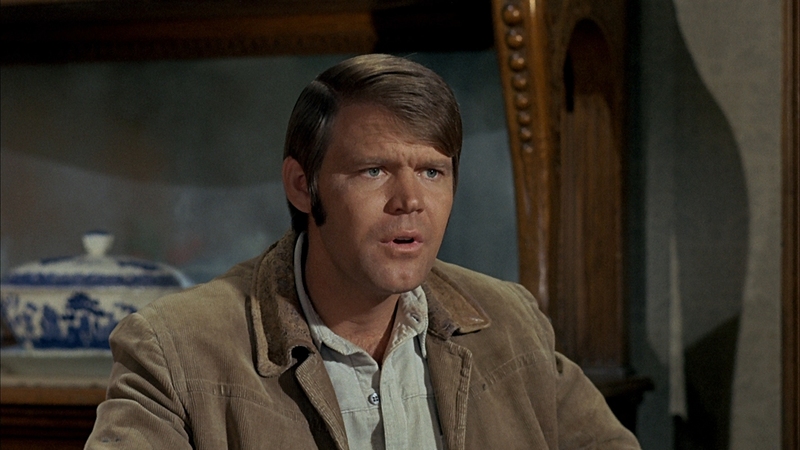 The weaker acting in this movie comes from Glen Campbell and Kim Darby. While Darby does have some great moments, she’s inconsistent. Glen Campbell, on the other hand, is just bad. I think I’d love this movie were it not for his performance. He’s a bad actor and his character ends up being annoying and almost unnecessary. Despite the weaker performances of these two, the movie is still entertaining. The visual work done for this movie has some great moments. The cinematography took full advantage of the Colorado scenery during the shoot. The action sequences are nicely done as well. Costuming and set design did their part in making this film look authentic to the time of the story. Overall, a good film from a visual standpoint. This is a good movie, some would even argue that it’s a great one. I think it’s got a lot of good things happening, but it misses the mark a bit as well. If you’re a fan of Wayne, this is a must-see movie. I would also suggest this for fans of the other stars in this one. While I’m a bigger fan of the 2010 film, this still has a lot to offer. I give this one 3 out of 5 stars. I have always loved this movie. The language of the characters is arcane because of the book. The Coens took it a little further but the patterns and grammar are part of what makes this movie interesting. I’ll add a nod toward Strother Martin as Col. Stonehill the horse trader. Some of the funniest stuff in the movie falls from his mouth. I think the bad acting from a couple people really hurts this. While Main is funny, I also think it’s a bit of a distraction from the intended tone. I’m glad that you loved this one though. A lot of peyote do, and I might be in the minority. Thanks for the comment. 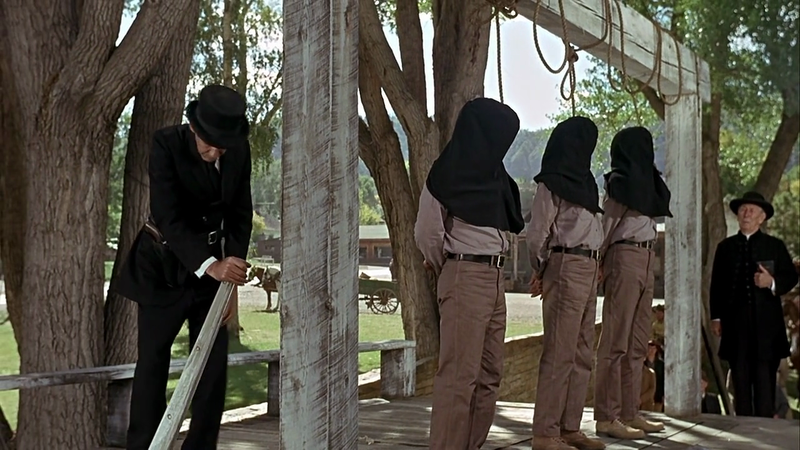 Pingback: She Wore a Yellow Ribbon | Did You See That One?